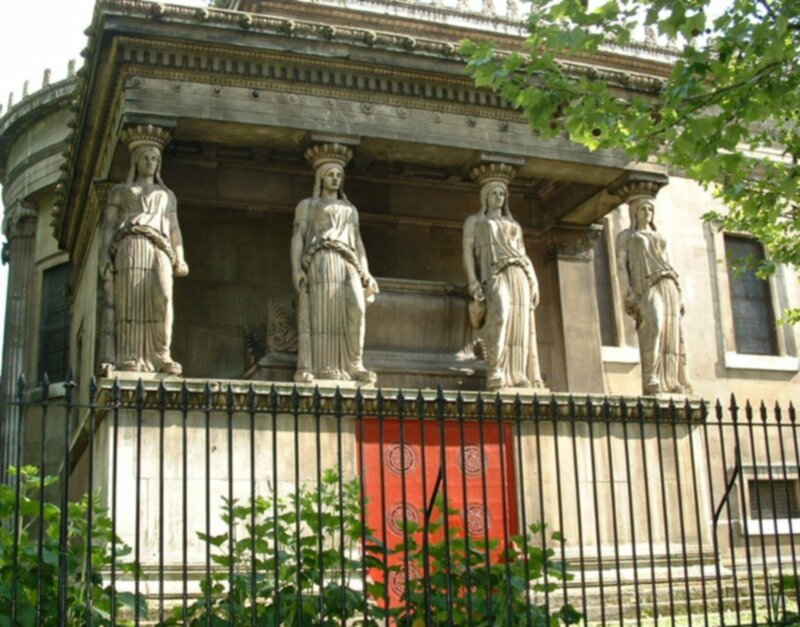 St Pancras Church on the Euston Road was made in Classic Greek Temple style with a row of beautiful handmaidens supporting the projecting alcoves. The statues were made of Coade's artificial stone which took three years to make. They were brought to the church looking dainty until they were ready to be put into place. Mr Charles Rossi, their builder, found that the measurements were a little out and try as he may, could not get them to fit. With a large crowd bemused at his misfortune, Rossi needed to act rather quickly to regain his self-respect. He performed a miracle operation with 12 inches being extracted from their midriff. As the traffic on the borders of the congestion zone slowly passes by, I wonder how many notices the out of proportion ladies that just don't look quite right. 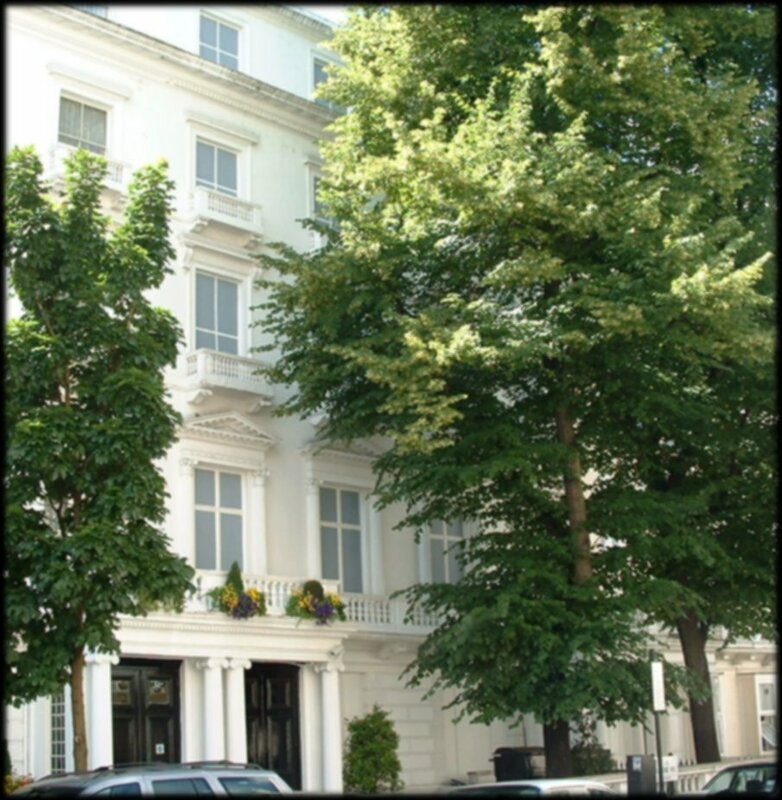 Front view of numbers 22 - 23 Leinster Terrace. With the beginning of the first tube line running from Paddington to Farringdon, demand grew for more tube lines within the area. The property was purchased and then demolished to make way for these new lines. 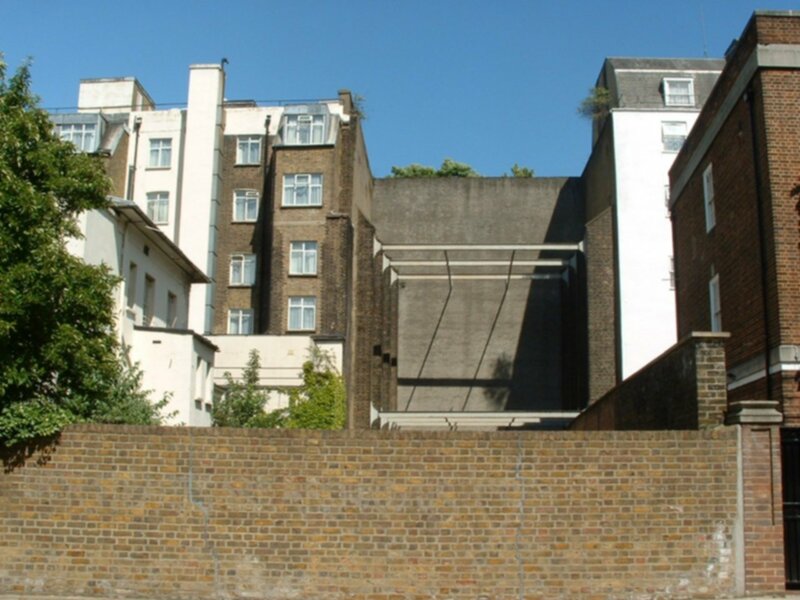 To help keep house prices high in the rather posh area of Leinster Terrace Bayswater, a reconstruction looking like terraced houses from the front and more like a film set at the rear was built. How many passersby ever notice this false property? This rear view photo shows the hidden side of the previous shot. Although unlike the front there is no desire to hide the ugly gap between the houses. Just like a film set complete with iron scaffolding.